Discovery News has a short video up discussing a new paper in PLOS ONE, Gallina et al.’s “A diplodocid sauropod survivor from the Early Cretaceous of South America“. I think it is really great that they want to showcase this interesting new find! But the DNews report leaves an awful lot to be desired. The news report is titled “There’s a dinosaur that survived mass extinction!”, which would lead most people to think that some kind of post-Cretaceous dinosaur has been discovered. At about 25 seconds in, the reporter says this is the first time scientists have found a dinosaur that survived the great extinction, presumably referring to the End Cretaceous mass extinction that happened 66 million years ago. Right away, it seems that there’s a huge misunderstanding here – there have been multiple mass extinctions in the history of life, not just the one that killed the non-avian dinosaurs. Additionally, the ‘great extinction’ should really refer to the End Permian extinction, by all accounts the most devastating mass extinction ever. Anyway, Gallina et al. have described a new diplodocid sauropod, called Leinkupal, from the Early Cretaceous (probably about 140-130 million years ago) in Patagonia. This is significant because diplodocid sauropods were pretty abundant in Jurassic rocks from North America, Europe and Africa, but seem to have disappeared from the fossil record after the Jurassic. Since diplodocids were present in the Jurassic of Africa, it was also thought that they were probably present in the Jurassic of South America, but no fossils had ever been found. So, Leinkupal confirms one hypothesis (that diplodocids were present in South America), and also rejects another (diplodocid sauropods went extinct at the end of the Jurassic). Good stuff all around! But Leinkupaldoes not tell us that dinosaurs survived the ‘great extinction’ (whatever that is), and it certainly did not survive the End Cretaceous extinction, on account of it having been dead for about 70 million years before that happened. 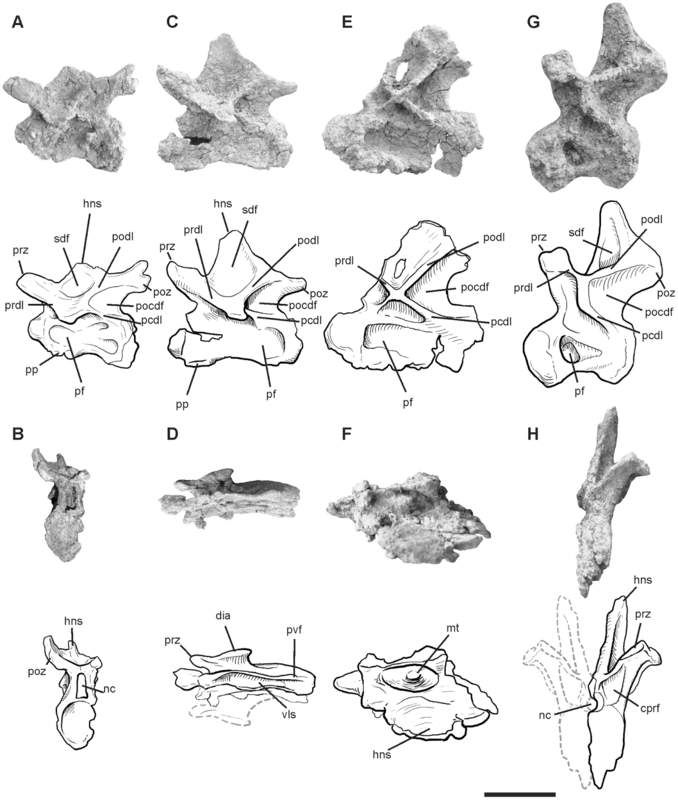 Vertebrae from Leinkupal, from Gallina et al. 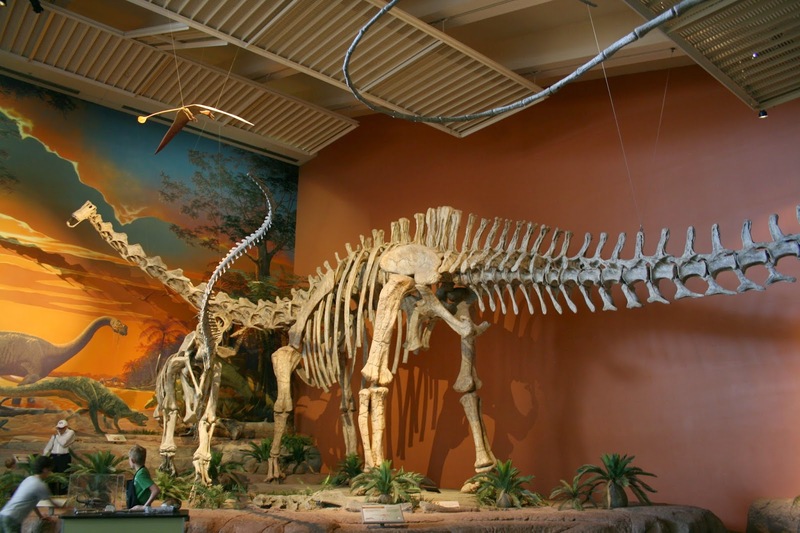 * “The diplodocid sauropod is a family” – I hate to nitpick over grammar (wait, who am I kidding – I love nitpicking over grammar! ), but the grammatical failure here I think represents a pretty basic misunderstanding of how taxonomy works. Later on, the reporter says of diplodocids that “the species was thought to be an exclusively North American dinosaur”. Diplodocids are a subset of sauropods, in the same way that sauropods are a subset of dinosaurs. Diplodocidae is the formal ‘family’ name for this group, and Diplodocidae contains many genera and species. Some of these are familiar, like Diplodocus and Apatosaurus, some are less familiar, like Tornieria and some are new, like Leinkupal. We use classification systems to understand how animals are related to each other, and to understand the scale of certain biogeographic patterns. Getting this stuff right is both relatively easy and also important! The imposing figure of “Seismosaurus” hallorum, a diplodocid from New Mexico on display at the New Mexico Museum of Natural History & Science. “Seismosaurus” is thought by some authors to be the same genus as Diplodocus. *At one point, the reporter says that diplodocids were “assumed to have gone extinct”, which is kind of true but also takes a lot of the science out of the story! Palaeontologists didn’t just assume diplodocids were extinct, they observed the pattern in the fossil record in which diplodocids were present in some layers and then not in others, and concluded that either 1) diplodocid sauropods went extinct at the end of the Jurassic or 2) we have incomplete data, and sauropods may just not be preserved in the post-Jurassic rocks we’ve looked at. It turns out that the latter idea was correct! * The reporter comments that the Patagonian discovery is the earliest record of diplodocids. It’s easy to get mixed up with this sometimes, but Leinkupal represents the youngest, and therefore latest record of the group. The earliest record of a group would be the first record, and therefore the oldest record. Since this is the main point of this story, they should really get this right! * The reporter also states that Leinkupal was found in a place that palaeontologists never expected (South America), when in fact the biogeographic pattern of known diplodocids hinted strongly at the possibility of South American diplodocids. This is so great! We were able to use our knowledge of the fossil record to predict where we might find a kind of dinosaur that we had not found there before. * Finally, the segment opens with the reporter making a show of how hard it is to pronounce the new dinosaur’s name. It’s true that Leinkupal doesn’t have the familiar Something-saurus structure that lots of dinosaurs have, but it’s not overly difficult to pronounce. There are two things that bother me here: 1) Why, Discovery News, are you making your female presenter pretend to be dumber than she surely is? and 2) An unfamiliar foreign word is made out to be this super weird and difficult thing, when they could have taken a moment to point out that this unusual name means “Vanishing family” in Mapudungun. It’s a beautiful and evocative word that reflects the significance of the specimen, and highlights a local language that most of us are not familiar with. A moment that could have been used to learn something new was instead used to indicate that new things are weird and learning is hard. This is really shallow and lazy writing. All of the important points to cover in a video segment of this length can be found in the three-paragraph introduction of the open-access paper. There’s no excuse to not get it right. Instead of highlighting how this discovery shows the power of scientific predictions, we got a video that can’t get basic facts correct, and pretends that this stuff is really hard rather than working to make it accessible to everyone. ← Many animals have skeletons besides dinosaurs. You have a huge captive audience in terms of delivering science-related media. Non-specialists trust you, and many specialists are more than willing to fact-check for you. Please make it obvious that you take this responsibility seriously and act on it. Hear hear on all of it, except the part about the “female reporter being told to act dumber than she actually is”, mainly because A. All the reporters, male ones included, act like idiots on the show, and B. Considering I think she is one of the people in charge, I really doubt she is much smarter. But yeah, it is a stupid video, just like most of their shlock.